A wide spectrum of various parrots. 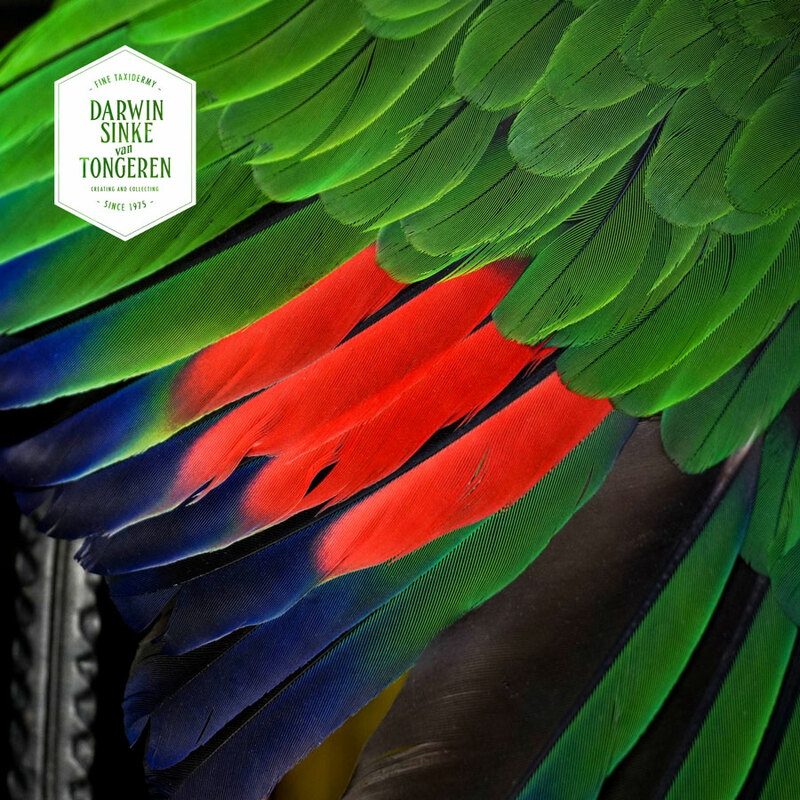 A total of 20 birds from all over the world, including Blue-and-gold Macaws, Rose-breasted Cockatoo, Rosella's, African Grey Parrots, Australian Ringnecks, rare Amazon Parrots, King Parrots and other Psittaculidae. This recently finished Centrepiece Birdcage by Fine Taxidermists Sinke & van Tongeren took over a year to conceive. 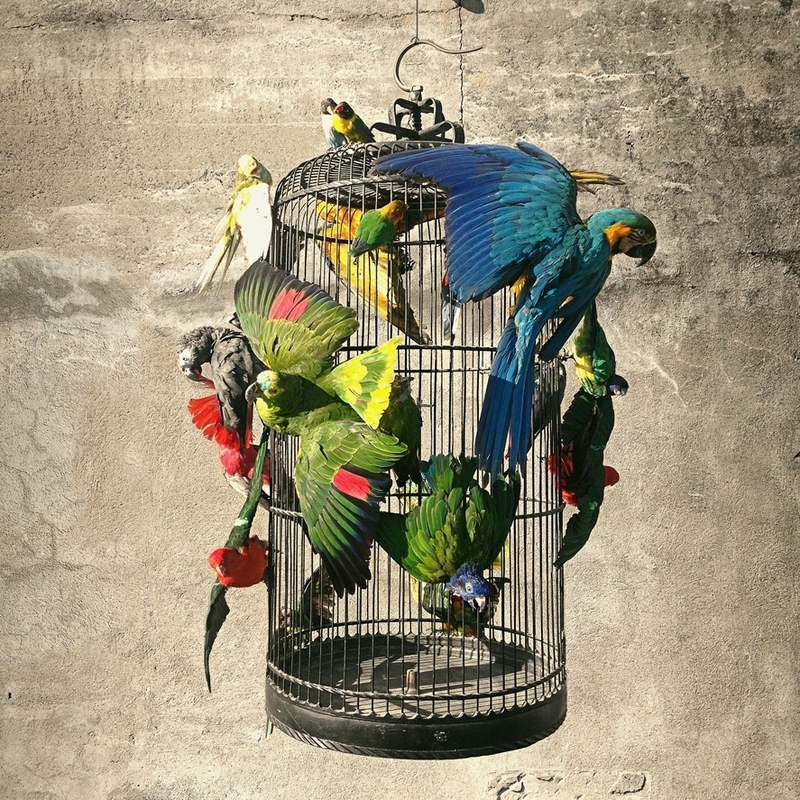 A total of ten tropical birds forming a composition on an antique copper and iron birdcage hanging from a bespoke chain. A group of rare birds. Among them an impressive Buffon's Macaw and several rare Amazona one of which was the last living specimen born and raised in captivity. All collected and mounted specially for this artwork. 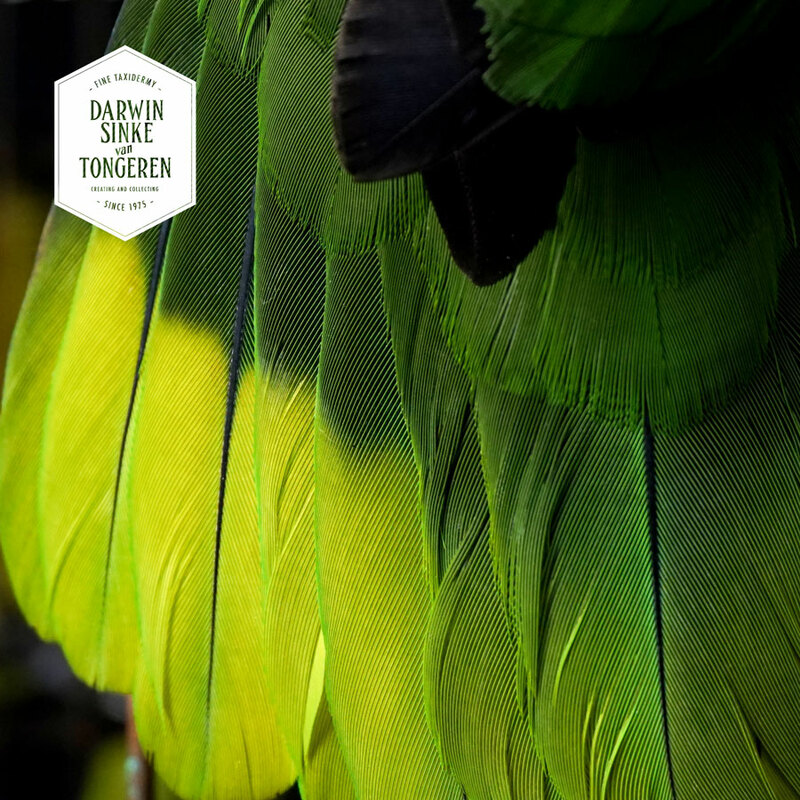 Sinke & van Tongeren had to wait for the right amount and quality of green Amazon Parrots to become available in order to make this piece. All birds died of natural causes and come from Zoo's, Animal Shelters and Specialty Breeders. All birds have legal documents and are microchipped accordingly.